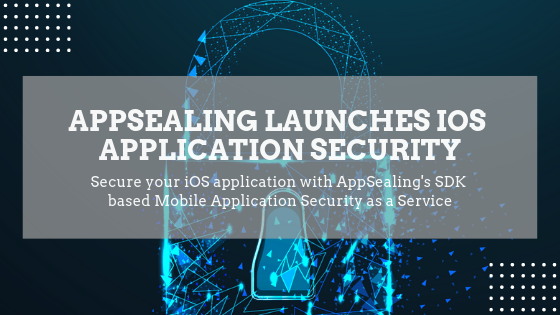 AppSealing, an innovative security service by INKA ENTWORKS Inc. has launched a new service for iOS application security. AppSealing also has a cloud-based SaaS security solution for Android applications which is currently used by leading Gaming, Fintech, O2O, Media and other industries. iOS operating system by Apple has been considered more secure than Android operating system. iOS OS is a closed system where a user can’t modify the code on their phones by themselves which makes it more difficult for hackers to find vulnerabilities on iOS-powered devices. Considering the fact that there are still few security loopholes like Jailbreak and app black market which are active and still hiding behind for iOS OS. And we cannot ignore reverse engineering which is used by hackers regardless of OS. We should consider one thing is that Apps released in the marketplace without any security are likely to be prone to attacks. The first step in protecting an iOS app is to verify that the device running in the environment is trusted. In a jailbroken operating system, it is possible to change the operating environment of an app, and since it can be run with administrator privileges beyond the privileges of an app, it is the starting point of exploiting an operating system security vulnerability. AppSealing provides you with unique and innovative security feature for your application which detects if they’re being run on a jailbroken device and prevent them from attacks. The process of ensuring that an executed app exactly matches the originally created app is an essential step in the security process. If a forged app can run on a user’s device, it means that malicious code inserted at random can be executed without the user or author knowing it. This tells you the possibility that your app becomes tempting targets for hackers eager to access the end user’s personal information end user’s personal information or becoming a malicious app that steals end user’s privacy. The 2nd most powerful feature for AppSealing is that it verifies whether an app is forged or not at the time of app launching, so eliminates the possibility that arbitrarily inserted code can operate. Hackers use a variety of debugging tools to get information to see how your app is running. Running an app means that the code that created it is interpreted and performed. The debugging process of inferring and acquiring code while tracking the steps that an app performs is one of the hackers frequently used reversing methods. Allowing debugging means that it can be used as an important clue to find out the main logic and weaknesses of your app, so do not allow this process without permission. AppSealing service can help you Block the app’s operation when the debugger is analyzing the program. 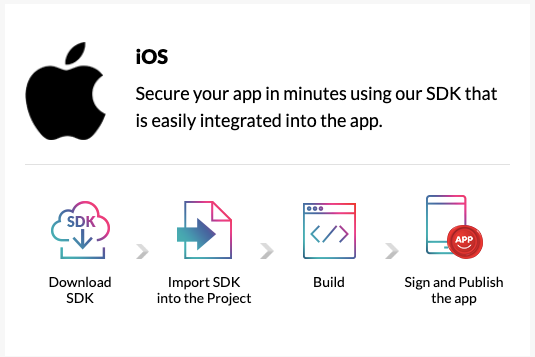 The traditional way of applying security is developers use 3rd party SDK to the app while creating, and it takes effort and time to build apps with powerful security features. And if you don’t build them properly chances are that your app can be exploited and attacked? Are you prepared? So you get a 360° application security with instant protection in real-time and monitoring dashboard with Analytics and Visibility. AppSealing service comes with a powerful monitoring dashboard which tracks each and every activity on your app related to known and unknown threats. It also stops emerging threats and helps optimize your security in real-time. AppSealing iOS security comes with a pay-as-you-go plan, so you only pay what you use. To make it more easy and exciting for indie or small developers you can use our service free of charge for up to 15,000 Monthly Active Devices(MADs). For more pricing information, please see here or you can even email us at contact@appsealing.com . Posted in Announcement, AppSealing News and tagged application, ios, Mobile Application Security, Runtime Application Self Protection.